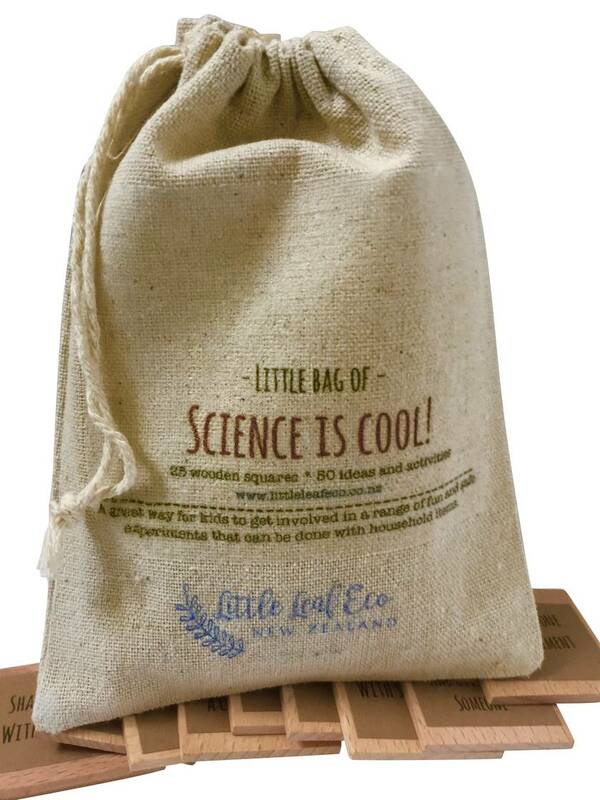 The little bag of Science is Cool is a great way for kids to get involved in a range of fun and safe experiments that can be done with household items. There is always something new and interesting for your kids to try. 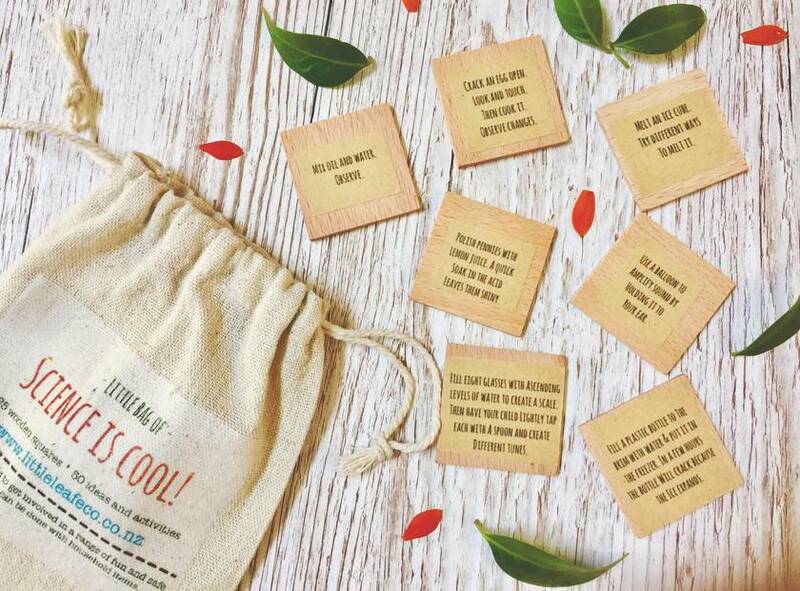 Randomly choose a wooden square from the Science is Cool eco friendly pouch and then let the fun begin! 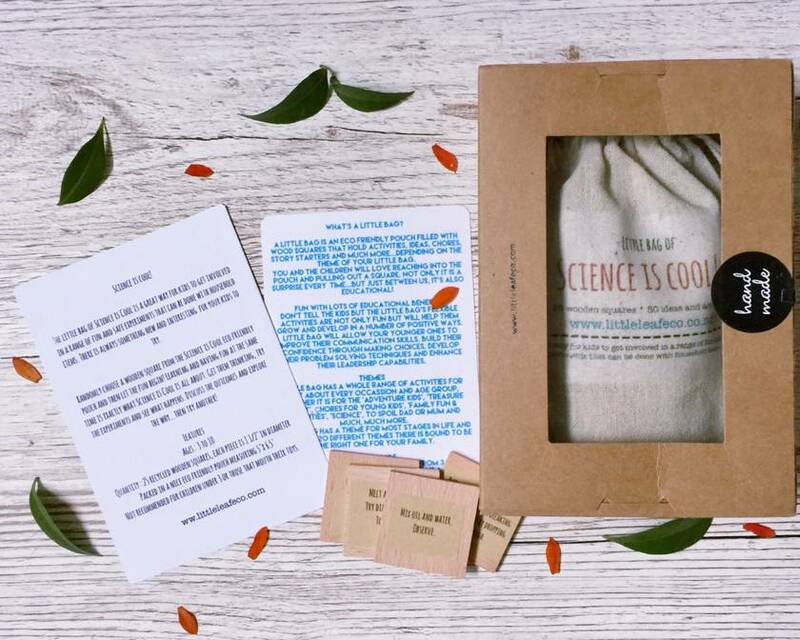 Learning and having fun at the same time is exactly what Science is Cool is all about. Get them thinking, try the experiments and see what happens. Discuss the outcomes and explore the why...then try another!